This year’s Bicycle Rodeo will be held on Thursday, October 5. Please send your child’s bike and helmet to school on this day. Not all students have bikes so may need to let children borrow and share bikes so everyone has a great rodeo experience. We will put names on all bikes and helmets when they arrive. 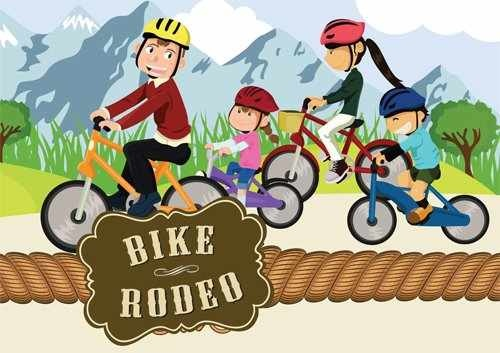 During the Bicycle Rodeo, your child will learn to dodge rocks, maneuver through intersections, scan for traffic, put a helmet on using the safest fitting techniques, and many other important skills. We will not be teaching how to ride without training wheels so if your child needs training wheels, be sure his or her bike still has them attached. If your child’s bike needs new tires or the brakes need a little work, now is the time to do any repairs so they can be ready for the bicycle rodeo!